8 O'clock Ranch was named by us as newlyweds in 2001. We usually rise way before the sun is up and get as much done before noon. 8 O'clock is our time for a cup of coffee and a midmorning snack - and by 8 at night we are snoozing! Our two sons, Eathon and Cole are avid inventors, entrepreneurs and awesome kids! Many of the reasons behind why we went to a grass based, antibiotic & hormone free ranch was the health of not only us but now of our children. We wanted what was best for all, humans and animals! 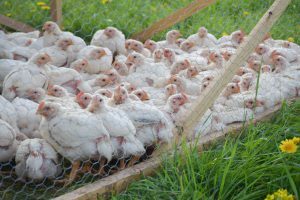 We realized very early on in our ranching life that we could not justify sending our animals hundreds, if not thousands of miles to a feedlot or livestock sale. Instead our animals are born and raised here with their own mothers, allowed to graze, roam and live as they would do normally. Our pastures improve as the animals roam and they in turn enjoy the pasture's bounty. This ranch has allowed us to become sustainable. If in the years to come our sons wish to take over, there will be a future here for them where they can grow there dreams. This ranch builds upon human interaction, trust and plenty of hard work! It would not be possible without our wonderful customers. We hope this website will be a way for all of you to "visit" us, share our day and enjoy a good meal. Chris and Dan Huntley keep themselves very busy! Dan is a graduate of Cornell University and came back to run his family's dairy farm. They are the 6th generation to live and manage what has become Huntley farms in Crary Mills, NY. Their son Dylan is currently working on making it a 7th generation! Using an ancient and simple formula of clean air and plenty of grass, the beef they raise are absolutely out of this world. Chris and Dan enjoy watching their Belted Galloway/Hereford beef grazing over 300 acres in the foothills of the Adirondacks. The beef are noted for the white 'belts' they sport. In addition to beef, Chris and Dan also have a lovely maple tree grove. Dan says: "Our original equipment was purchased from a neighbor by my father with a hand-shake deal, one horse for one wood evaporator, way back in 1976. 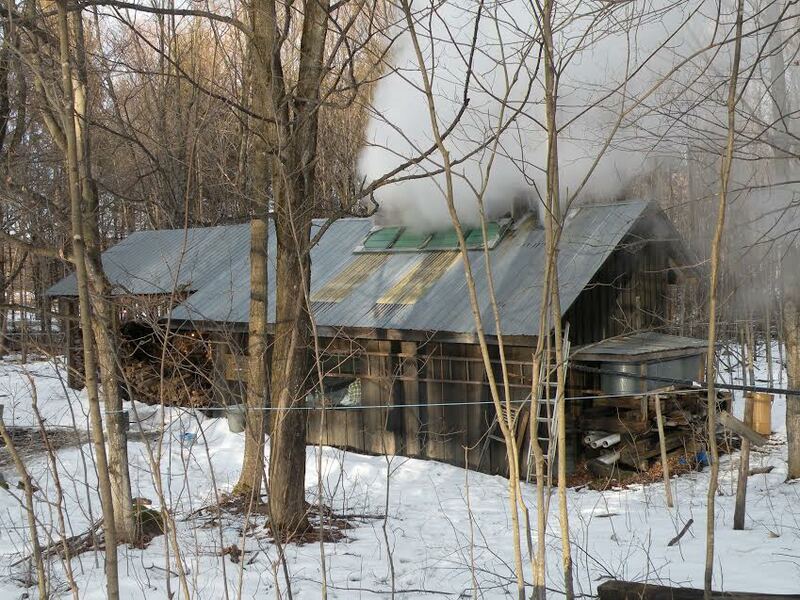 We still boil our syrup the old-fashioned way using wood we have collected from managing our maple stand. When our long winter days have reached their zenith and start waning, our days get busy. 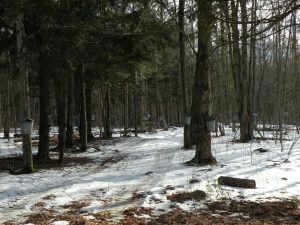 Between March and early April we will have an average of 15 days to collect sap. 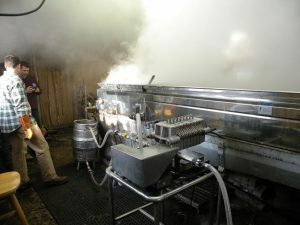 The rush of managing the timing of weather conditions delivered during this time is full of excitement - and very long hours of conversion of boiling maple sap into maple syrup. The beginning of April ends the season and then this lovely syrup is ready for pancakes, waffles or as a glaze on some lovely pork. Enjoy! Jeff, Melissa, Matthew, Chris, Rachel & Ben Hill love pigs. It is in their blood! They have been raising pigs, on and off, for quite a few years and learn more every year. 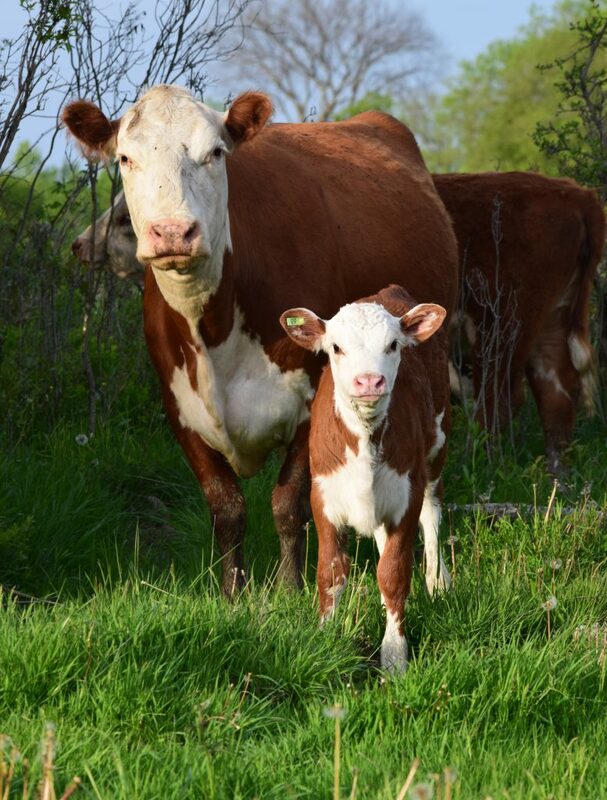 Besides raising pigs and a herd of Hereford beef cattle, they own and run 'Farmer to Farmer Feeds', raising and milling a variety of GMO free grains. 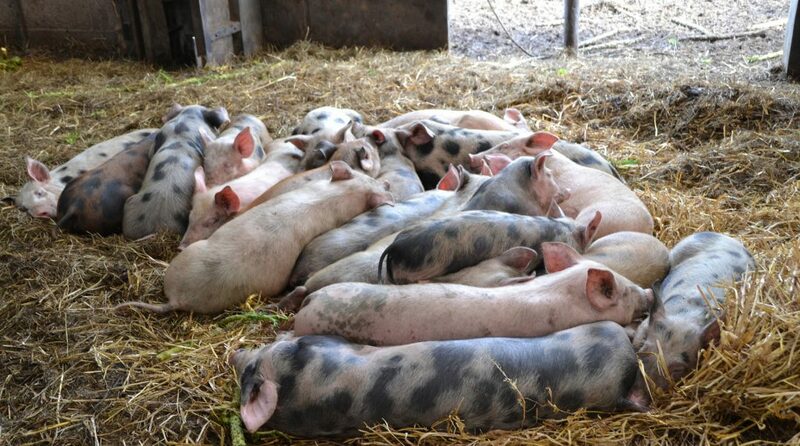 After many years and several different breeds, they have settled on Berkshire pigs for their amazing mothering ability, excellent meat and inteligence. Pigs, when given the chance, are some of the most fun, inquisitive and to be honest, mischievous animals.